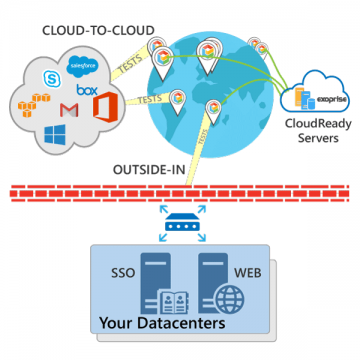 While other monitoring companies rely only on external cloud-based monitoring or ONLY have on-premise monitoring, Exoprise delivers the same rich capability from both behind the firewall AND out in the cloud. No other solution makes it as easy and seamless to deploy cloud and active monitoring for all YOUR locations and from the cloud via the same console with the same rich capabilities. Monitoring SaaS services like Office 365 and Salesforce.com from behind the firewall is our bread-n-butter. We are the market leader because of the full capability of our platform combined with ease of use, manageability and reliability. Supported on any Windows OS — even on Rasberry PIs, Windows XP, servers. Whatever you have. Run alongside any workload. 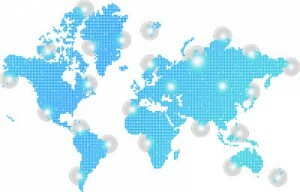 Private Sites can be deployed alongside existing users desktops, laptops – anywhere. 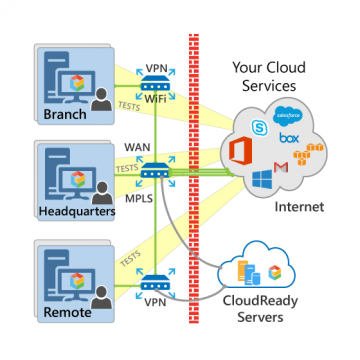 Deploy CloudReady to your Branch offices with ease. Read more about our easy setup. Give you an outside-in or cloud-to-cloud perspective of the performance and availability of your cloud services. This is important for users that work outside the corporate LAN/MPLS/WAN.